Let’s imagine you are a student in medical college and have an assignment to write your first admission note. Probably you are not certain how to write an admission note, for there is no any standard concerning this. However, there are some requirements which are important to be adhered to. Admission notes serve as an important source of information for the doctor or healthcare institution in question. In medical science it is absolutely necessary to trace the development of a given disease, to write down all the symptoms that the particular patient has, as well as his/her medical record by that moment. Admission notes serve as an important source of information for the doctor or healthcare institution in question. You should not be afraid of writing an admission note. You just need to plan it well: be concise, pay attention to the details, and present the necessary information in a logical and consistent way. 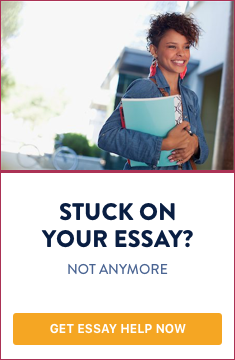 You are not writing an essay, so there is no need to work additionally on your style of writing. At any rate, you need to develop some skills in order to present information concisely and accurately, without telling too much. You will refine your style in the course of time due to the experience you will have. Be very careful to all the symptoms and complaints the patient has, or claims he/she has. In the situation when you meet the patient and examine him/her, or you are present during his/her examination, you should keep track of everything happening at the moment. We recommend to write notes and not to rely on your strong memory. Additionally, you can add some information about the patient’s nationality, place of residence, and information about his/her relatives (mention the contact person which is very important). Here you need to write shortly about the data and time of admission of the patient to the particular medical center, the circumstances (if needed); for example: speech, clothing, behavior, and so forth. The main reason should be only one, according to the symptoms or diagnosis (if there is such). You need to write a little about the duration of the symptoms or the reason for the complaint. What medication the patient has been given, what room he/she has been accommodated to. Here you need to articulate the personal history of the patient in question: general health condition, complaints, accidents, medical operations, past hospitalization, allergies, etc. This includes history of the health state of the family members and relatives. You should write about all that is known: diseases, hospitalizations, accidents, and so forth. Some professions could lead to a set of symptoms the presence of which may mislead the doctor. This point is not absolutely required, but if you think it is important to give additional details about workplace conditions, then do it without hesitation. You can leave some space for further developments. This depends on the period of stay of the patient in the current hospital or medical center. This part may also include some additional details about the physical condition of the patient: weight, vision, hearing, appetite, and others. Be precise when you are writing all the data. Let’s repeat it, do not rely on your memory and write down everything you consider important. Check the details again after you have finished writing the admission note. Also ask the doctor who has examined the patient to check the information.